Things in Gotham City have gone from bad to worse. Not only has The Joker released a virus that spreads his unique form of madness but he's found a way to give himself a superhuman healing factor! But Gotham's salvation may lie in the hands of one Dr. Paul Dekker - a soft tissue specialist committed to Arkham, who may be even crazier than The Joker! 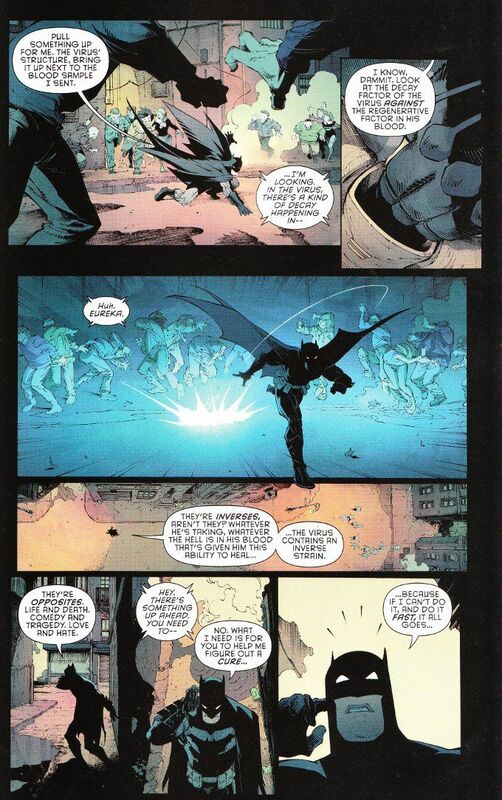 Scott Snyder excels at delivering the unexpected and his run on Batman has contained a number of surprises. 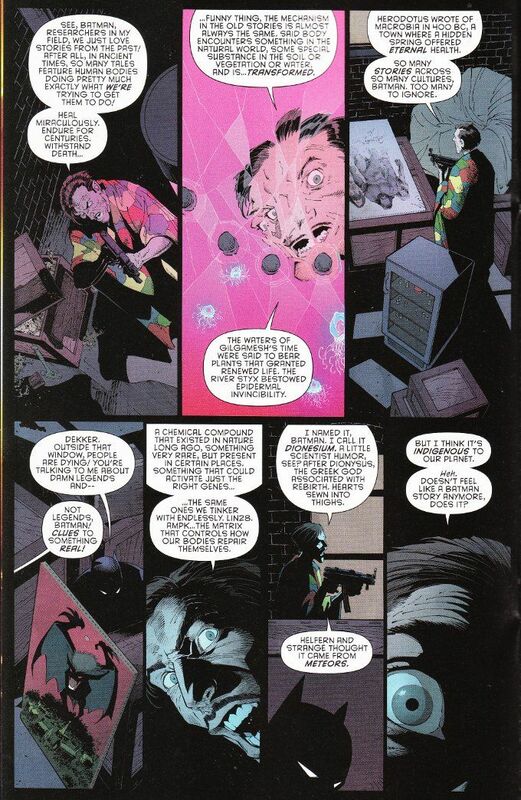 Yet I think this issue, which finds a way to establish Crazy Quilt in the modern day, may prove to be his biggest surprise yet. Not because of the reveal but because of how well it is carried out. And the artwork of Greg Capullo and Danny Miki has never seemed more ominous and creepy than it does here. The same can be said of the back-up story. The artwork by Sam Kieth - another veteran horror artist - proves a perfect fit for James Tynion IV's tale this month. This story involves a madman who spins a tale about being recruited for a secret army of Batmen - a tale that seems less outlandish in the wake of Batman Incorporated.